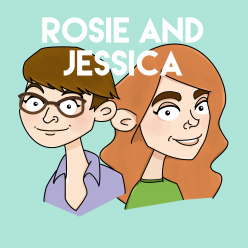 In episode 57, Jessica has seen the the sequel to Pitch Perfect (and the prequel to Pitch Perfect 2), Rosie has hosted a Eurovision party and they’ve both eaten banoffee pie. There’s a rundown of their Top 5 animals, with one stand-out contender, and possible freezer-related demise. Jessica picked Birdhouse In Your Soul by They Might Be Giants and Rosie picked Bucks Fizz’s seminal Making Your Mind Up. Learn more about Quokka Soccer in the Australia episode of Noble Goes Global. Delicious green bean casserole from The Pioneer Woman. Not axes, not planks, not flowerpots. We want plates. Desmond Olivier Dingle and Wallace bring you the National Theatre of Brent in the Greatest Story Ever Told.